The Office of Student Involvement and Leadership (SIL) is committed to providing programs and opportunities through which students may become meaningfully involved in campus life. Register your student organization today! Our programs and activities support the enhancement of learning, educational growth, and development of students. These programs and initiatives include leadership development, organizational involvement, campus wide entertainment, cultural and educational programs, volunteer service, and recognition. Our goal is to create opportunities so that students can achieve academically and socially in ways that will facilitate their transition into the world as responsible citizens. 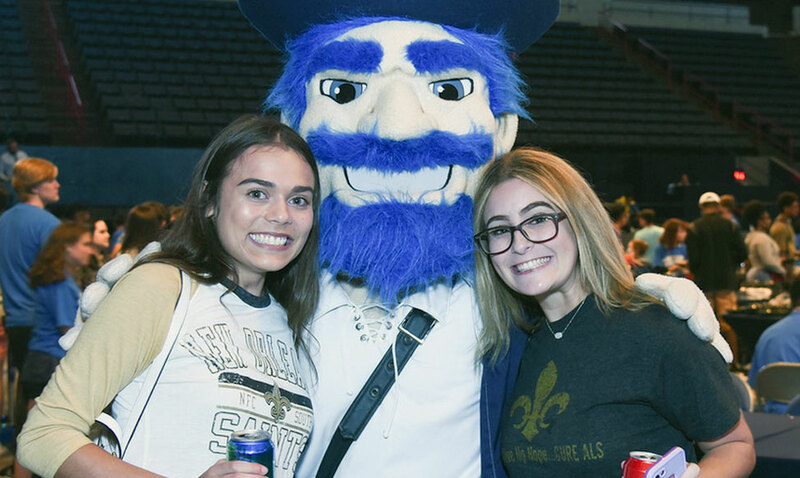 There are a number of ways to get involved on campus, whether by joining a student organization or by attending one of the many events that are hosted on campus everyday. Learn more by reading the 2018-2019 Student Organization Handbook or explore the links below. Take a look at the leadership programs offered at UNO. All the information you need about Fraternities and Sororities on campus. We offer a variety of options for you to get involved with our community and volunteer at events. There are more than 130 organizations registered. Find one for you! The official programming board at UNO. SAC plans the biggest events. Dedicated to improve student life and provide funding for student orgs.